1992-1995 Eurovan Serpentine Belt Kit ***FREE SHIPPING***2-Day Priority Shipping Included! Complete kit of all four ball joints of German manufacture, NOT Chinese. 2 Day Shipping to most US Zip Codes included! Complete set of all three engine coolant sensors and three seal rings for all AAF & ACU gasoline engines with free shipping. Complete kit, with shipping included, with two rotors and a set of brake pads for about the same price that a VW dealer would charge just for the brake pad set alone. 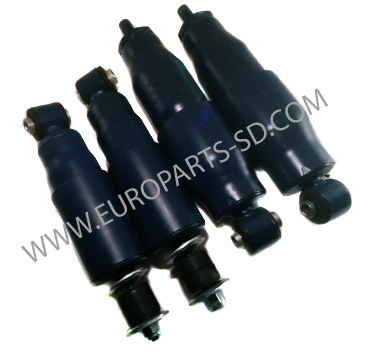 Complete kit, consisting of all OEM parts, ContiTech, INA, Litens, SKF, etc.